GREGORY P. SGRO obtained his Bachelor of Science degree from Northwestern University and his law degree from Washington University in St. Louis, Missouri. Admitted to practice in 1986, he has more than thirty years of experience in the private practice of law, concentrating in the areas of civil litigation, all aspects of real estate development, wills and estates. He is a member of the Lincoln Douglas Inn of Court, the Illinois State Bar Association, and the Sangamon County Bar Association. 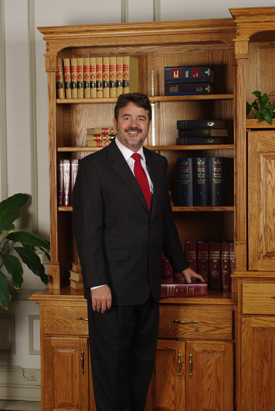 He maintains the highest rating available for an Attorney by Martindale Hubbell and is currently recognized as a Leading Lawyer. Check out this article on Gregory here.